Sprinkle the yeast over lukewarm milk (110°f) and add a pinch of sugar. Stir and let sit for 10 minutes. Cover with a towel and let stand in a warm place until doubled (about 45 minutes). 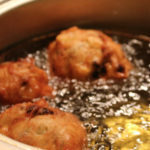 Heat oil to 160°f for frying. 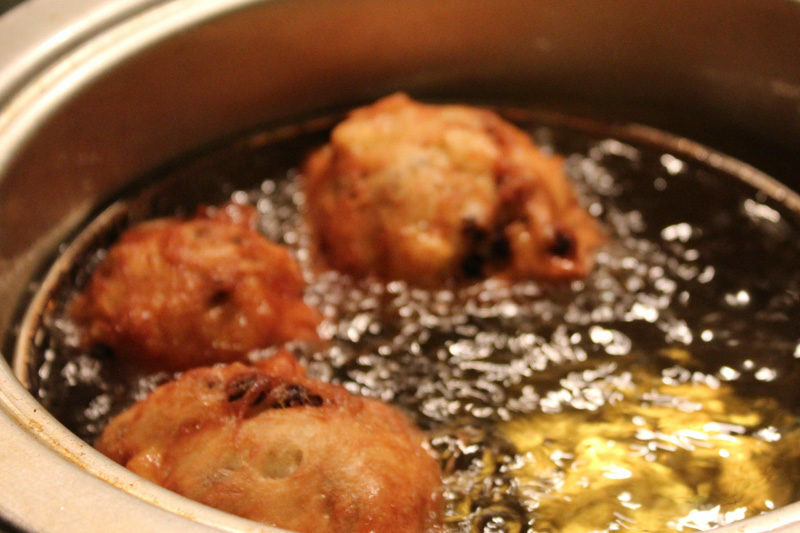 Drop batter in small balls into hot oil a few at a time. Fry for 8 minutes, turning halfway through. Let sit to drain on a paper towel. Serve in little bowls with icing sugar in the bottom. We made these at mom's for New Years a few weeks back, and they were such a treat! Fry in oil (a deep pan works fine if you don't have a fryer) and top with icing sugar. Eat while still warm and eet smakelijk!